Today, Dr. Shawn Wilson, Secretary of the Louisiana Department of Transportation and Development, announced the selection of the design-build contractor for the I-20/I-220 Interchange improvement project into Barksdale Air Force Base in Bossier Parish. James Construction Group, LLC. was identified as the successful proposer with an apparent low bid amount of $71,818,850.00 and a proposed time of 912 calendar days during which to complete the project. 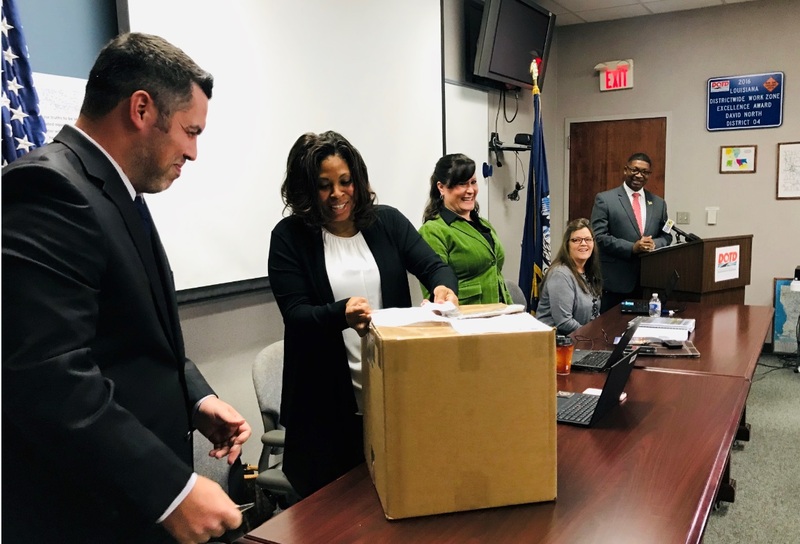 Deviating from the normal bid opening location, the public bid opening was held on Tuesday, February 5, 2019 at the Shreveport-Bossier District Headquarters in Bossier City. Dr. Wilson opened sealed bids from James Construction Group, LLC. and Gilchrist Construction Company, who both submitted proposals for the project. These proposals were extensively reviewed for their ability to meet the expectations of plan, design, and construction, while delivering a quality product and meeting – or exceeding - project deadlines. Over the span of a year, DOTD has issued a Notice of Intent letter, completed the Request for Qualifications (RFQs), Request for Proposals (RFPs), named the top three design-builders, received two proposals, and have now identified the apparent low bidder for the BAFB Interchange project. The contract is expected to be awarded in early March 2019, with an official contraction execution scheduled for late April. Utilizing the design-build method of project delivery will expedite the process by allowing the design and construction phases to take place simultaneously while employing innovations. 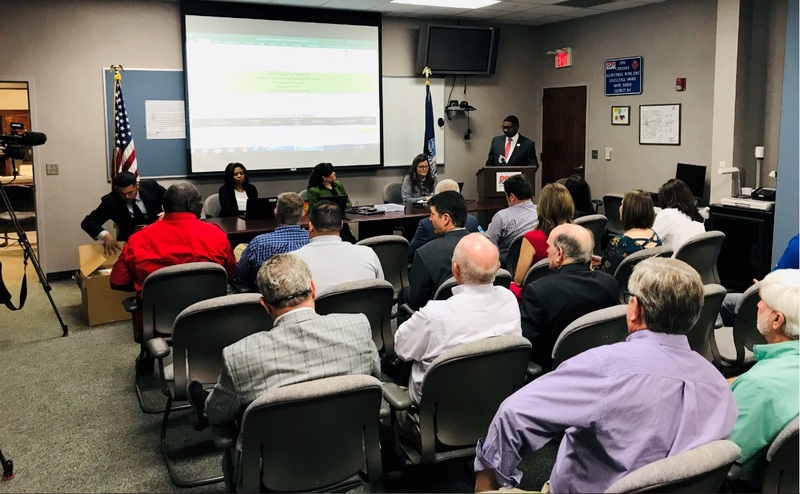 The City of Bossier, Bossier Parish, and the local Metropolitan Planning Organization have all made funding commitments, and public support has been issued by local economic development groups in the region. This project and two other significant infrastructure projects are being funded through the state’s first issuance of GARVEE bonds, which are special bonds that will be repaid over 12 years using federal funds allocated to Louisiana. DOTD has received the three approvals required by the Legislature to begin to access these bonds.